Coolwinks.com was founded in 2016 with a clear focus on providing better vision to millions with quality eyewear. We are aiming to be a leading online retailer of vision care products with the highest standard and widest range of Eyeglasses, Prescription Sunglasses, Sunglasses along with specialty brands and lenses. We are a wholly owned subsidiary of the Essilor International. HOW CAN I PLACE AN ORDER FOR COMPUTER GLASSES AT COOLWINKS.COM? Buying computer eyeglasses is easy. There are multiple payment options- Cash on Delivery, Net Banking, Debit or Credit Cards and three wallets- Paytm, Jio Money and Mobikwik. We Offer lenses made in different materials. High-index plastics- Refractive index-1.70-1.74. Thinnest and lightweight. Block 100 percent UV rays. High-index plastics- Refractive index- 1.60-1.67. Thin and lightweight. Block 100 percent UV rays. Trivex- Refractive index- 1.54. Lightest lens material, blocks 100 percent UV rays and has superior impact resistance. CR-39 plastic- Refractive index- 1498. Inexpensive, thick from downside and excellent optics. 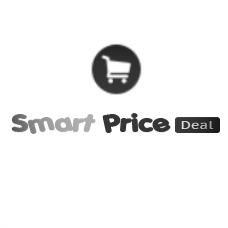 Coolwinks offers on SmartPriceDeal include latest offers and deals from the online.